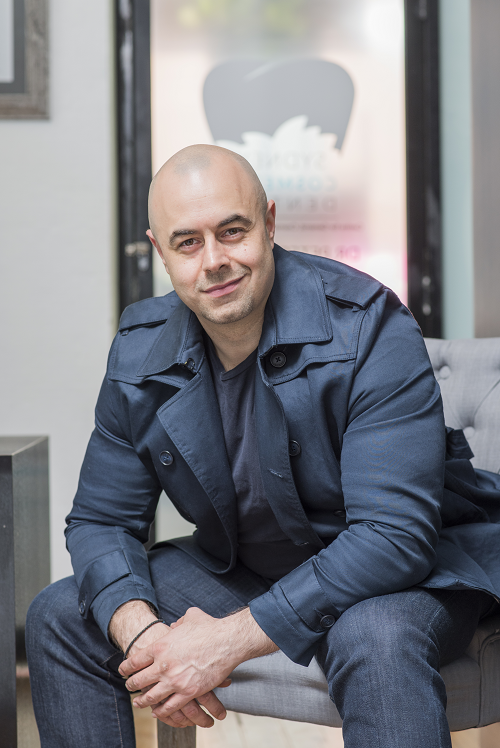 Dr Peter Poulos has been practicing the art of cosmetic dentistry since graduating from Sydney University in 2004. He grew up in the Eastern Suburbs and has become one of the most widely respected dentists in the area since establishing Sydney Cosmetic Dentist in 2006. Dr Poulos takes great pride in his dental work, keeping up to date with all of the latest advances and new and improved techniques that will enhance your smile! Dr Poulos practices a philosophy of ‘lifestyle dentistry’ and firmly believes in creating a manageable routine to maintain a healthy mouth. He is a graduate of the Las Vegas Institute for Advanced Dental Studies. LVI is the world’s premier postgraduate dental teaching facility. Their comprehensive curriculum includes programs on advanced aesthetics, occlusion, management, and a comprehensive approach to dentistry. The Aesthetic Implant Restoration (Managing the soft tissue for optimal aesthetics). Advanced programme in Extended Fixed Prosthodontics. Dr Poulos aims to ensure everyone receives the right advice and guidance to maintain great dental health, whether you are interested in a simple cleaning or wish to find out more about full mouth rehabilitation. You will find Dr Poulos takes the time to listen to you, to better understand your oral health needs and concerns. Nothing can give him more pleasure than being able to bring a smile to a patient’s face. A father of two, Dr Poulos is committed to giving back to his local community. He mentors youth in the community and is active in organising and facilitating sports and in managing young athletes. Dr Poulos also teaches youth martial arts. He regularly participates in activities at the local Greek Orthodox Church and in food drives for homeless men and women. His interests include sports, in particular martial arts and Dr Poulos loves travel, music and entertainment, and great food.